"In my search for a good cream pea recipe, I found many, but none that quite matched what I wanted. So I took to my own creativity and came up with this absolutely fabulous recipe. We love it so much we have this on the side quite often." See how to make a creamy, delicious zucchini side dish. 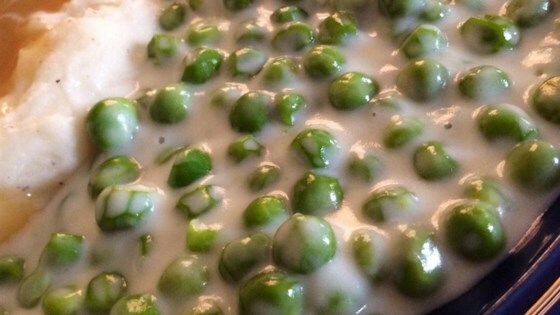 I've been searching for a great cream pea recipe and this is it! It has just the right amount of sweetness and creamy texture, I'm making it again tonight. Thank you very much! Excellent recipe. It will go well with many main dishes. Very good recipe. It had a real nice flavor and my family loved them. Peas are a favourite of mine, and this was good, if a little sweet for my taste.